NEW!! NEW!! Our camp will take place at two locations in 2017: Montgomery and Princeton Junction. See flyer and registration page for more details. We are committed to providing our campers with a learning and fun-filled experience. We are offering Chess, Coding, 3D Printing,Circuitry and Lego Robotics. Campers could pick full-day, or half-day options. Weeks Available: June 26 – August 25, 2017. Monday through Friday from 9:00 AM to 4:00 PM. Extended Day from 8:00 AM to 5 PM available. Transportation from 3 different areas. Awards every Friday! Students will be awarded in chess and computer achievements during the week. Coding has become a lingua franca of the next generation. Don’t you want to enroll your children in classes / summer programs that encourage the use of coding and robots to achieve goals, not just by playing with them but by building robots and programs to control them? IG encourages kids to use their creativity and natural curiosity to overcome problems through hands-on experiences. We have programs for kids from K-8 and beyond like scratch TM, Kodable, Arduino TM and Raspberry. 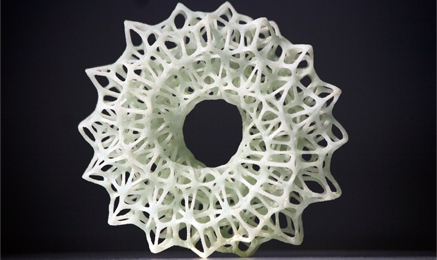 Drawing and building is fun, sure, but take it to the next level with 3D Printing. 3D Printing nurtures and fuels your child’s creativity. We can help you create the next generation of designers/engineers by giving your kids the skills they need to transform their imagination into a reality. We introduce our campers to the design process and creation of 3D models. Our goal is to provide your kids with tools that fuels their imagination and provide skills as to how things around us are going to be built in the future. According to studies: Chess boosts brain power in kids. Chess improves IQ. Chess enhances arithmetical skills. Chess hones verbal skills. Chess sharpen criticL thinking skills. Chess boosts emotional intelligence and psycho-social skills. Instruction is tailored to camper’s skill level whether it is beginner, intermediate or advanced player. We have something to inspire you! We are IMAGINATION GURU, a new and innovative company, in the Princeton / Montgomery area, dedicated to providing fun and engaging opportunities for young minds in science, technology and critical thinking.